Athletes get in the zone when they get ready to compete or want to take it to the next level in their sport. We all want to take our money to the next level. Why not get in the state of financial flow? 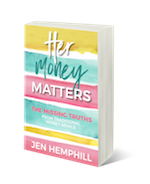 Being in a state of financial flow allows you to be in tune with your vision, values, and actions that will continue to propel you forward towards that financial freedom. 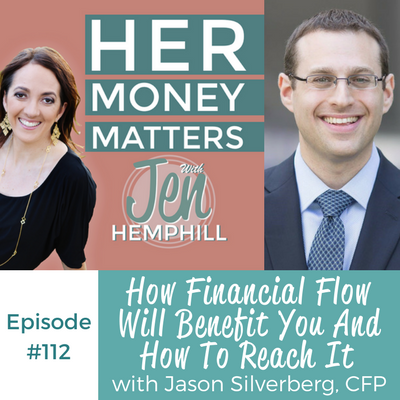 My guest, Jason Silverberg, CFP breaks this down for us on today’s episode. Jason grew up in a Jewish household, and his rite of passage was a Bar Mitzvah. His parents helped him take his gift money and invested it. His parents guided him through the investment process, and he loved it. He bought his first car with the investment money. Around the time he purchased his car in high school, his parents got divorced. When this happened, he realized money isn’t the end-all, be-all. His mom struggled a lot to build her retirement while taking care of the house and making sure the bills were taken care of. Running two households with a budget is harder than one. Money mindsets are everything. If you’re coming at money with a scarcity mindset, you’ll always be behind. In his experience, he saw money as a challenge in his household. Because of this, he made it his life’s mission to help people with their money. With proper planning, you can turn your mindset into a scare mindset to an abundant mindset. When Jason started down his financial path, his parents came to him as a mediator and help them in the finances—he recalls this was a terrible experience to go through. Now, as a father of two, he looks back at the messages, his grandfather was telling him and attaches it in a way that’s appropriate to his generation—approach money with a gratitude mindset when talking to kids. Jason wrote his book, The Financial Planning Puzzle, that’s 12 years of practical advice that he’s given to clients. He distilled the best advice to put you on a path to reach financial freedom. 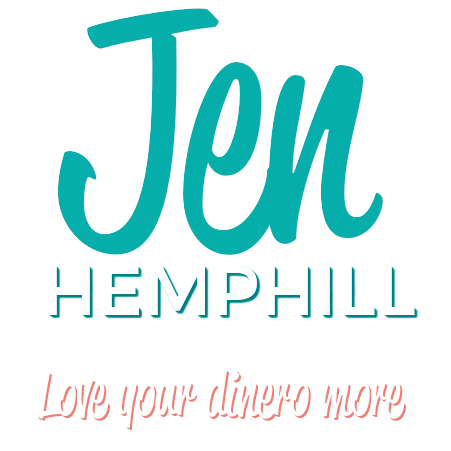 The most important thing is to hone in on what financial freedom looks like for the individual. Life is not about the end, but the journey. Financial freedom is pairing your vision, values, and mindset and aligning them—start true to your habits and planning, and that’ll create a feedback loop of success to get you to your goal. Figure where everything is and determine the worth—make a one-page inventory of money coming in and money going out. Figure out where you want to go. What are your goals? Solving the financial planning puzzle can turn life’s question marks into exclamation marks. • Jason is a registered representative and investment advisor representative of Securian Financial Services, Inc.
• Securities and Investment Advisory Services offered through Securian Financial Services, Inc., Member FINRA/SIPC. Financial Advantage Associates is independently owned and operated. • Financial Advisors do not provide specific tax/legal advice and this information should not be considered as such. You should always consult your tax/legal advisor regarding your own specific tax/legal situation. • Separate from the financial plan and our role as financial planner, we may recommend the purchase of specific investment or insurance products or accounts. These product recommendations are not part of the financial plan and you are under no obligation to follow them. • Life insurance products contain fees, such as mortality and expense charges (which may increase over time), and may contain restrictions, such as surrender periods.